Compact and neat, these rod holders sit flush with the deck of your kayak. They are reasonably easy to install with some basic tools. 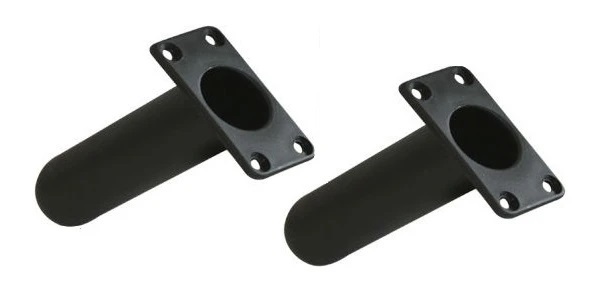 Flush mount Rod Holders designed for the Feelfree kayaks but will fit most kayaks. These come as a pair with fittings and incorporated rod leash. 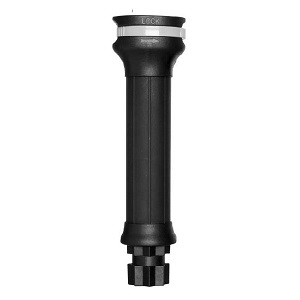 Universal Flush mount Rod Holder that will fit most kayaks. Includes rubber gasket and incorporated rod leash. Sold Individually. 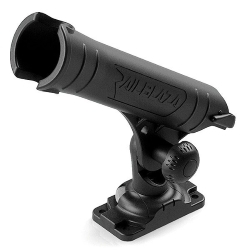 Flush mount Rod Holder that will fit most kayaks. Sold individually with rubber gasket, cap and fittings. 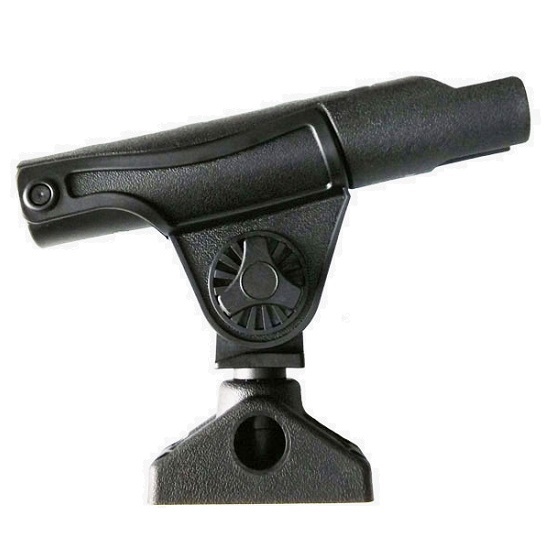 Deck mounted rod holders that can be adjusted to position your rod at the perfect angle. 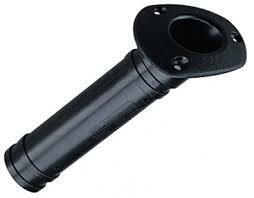 We stock popular rod holders from Scotty, Railblaza and Ram. If there is a rod holder that you want from these manufacturers that isn't listed below, give us a call to find out availability and prices. 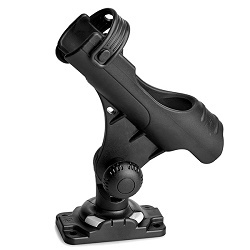 Adjustable deck mount rod holder that will fit on most sit on top kayaks. 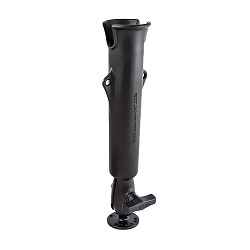 The rod holding tube swivels/hinges at the base allowing you to 'strike' a bite whilst the rod is in the holder. An affordable option when converting a standard sit-on-top to a fishing kayak. 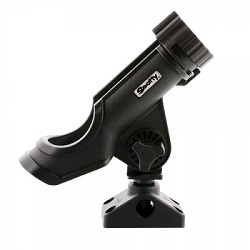 A popular adjustable rod holder for use with multiplier, fixed spool and fly reels. The holder includes a removable gimbal, anti bite-theft collar and hardware for installation. Can be deck or track mounted. Track mounting kit sold seperately. The smaller, lightweight brother of the Railblaza Rod Holder II, the Rod Holder R is suited to lighter spinning/lure rods and is compatible with spinning, baitcaster and fly reels. Comes complete with a Starport HD mount and fixings. A tube style rod holder for kayaks and boats, designed to keep rods/reels held higher above the water. 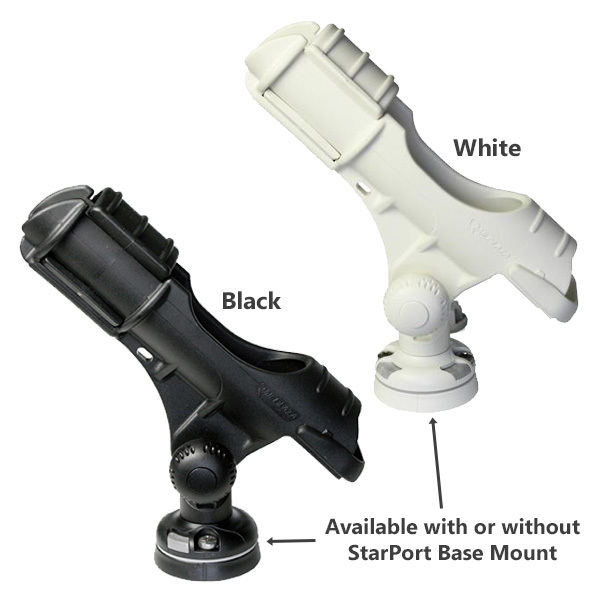 The holder includes a drop-down gimbal with a StarPort HD mount and hardware for installation. Popular rod holder for use with multiplier or fixed spool reels. Can be deck mounted or attached to slide tracks. A popular open-style rod holder with locking collar to prevent 'strike-theft'. Suits various fixed spool and multiplier rod/reel set ups. Tube style rod holder for use with multiplier or fixed spool reels. Can be deck mounted or attached to slide tracks. A set of 3 rod holders for use with multiplier or fixed spool reels. Can be deck mounted or attached to slide tracks. Tube style rod holder for use with multiplier or fixed spool reels. Can be deck mounted or attached to slide tracks. 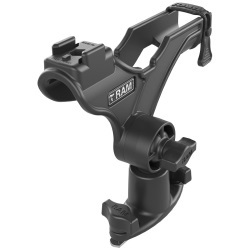 Ram Mount ball technology allows for the ultimate flexibility in positioning your rod holder at the perfect angle. 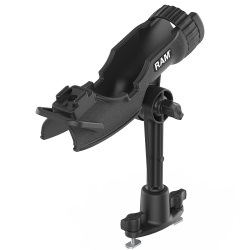 A slide track mounted adjustable rod holder suited to light spinning, trolling and bait rods. Features a strong dual T-Bolt track base. Optional Go-Pro Mount available. A slide track mounted adjustable rod holder with 6in post suited to heavier bait rods and big lure trolling gear. Features a strong dual T-Bolt track base. Optional Go-Pro Mount available.